Welcome, and thanks for introducing yourself. All in all it sounds like you're doing OK and hanging in there, better than I did. FWIW, I have never been to a ward where the sacrament was not taken out to the foyer for late arrivers and others and I've never heard of any policy against that (except if the person wasn't there for the bread they shouldn't take the water). Please don't be afraid to share, others here benefit from the insights of those who are "making it work." I hope that likewise others here can continue to be of help to you. DarkJedi wrote: FWIW, I have never been to a ward where the sacrament was not taken out to the foyer for late arrivers and others and I've never heard of any policy against that (except if the person wasn't there for the bread they shouldn't take the water). Same here, until now, and we've traveled and moved A LOT. When I asked the first time, I was told it was policy. I asked again a month or so later for a clarification and explained my situation, and was told that "all kids are like that, he'll learn" and again, policy. Almost a year later, I talked with the bishop again and explained that my son had an official diagnosis and husband was going to be gone for 6 months. He said he would think about it. The following Sunday was a 5th Sunday with a video presentation intended for ward councils with the Q12 and Aux leaders discussing how to keep the Sabbath holy, and QLC told a story of a young mom with a special needs child who was trying to stay in sacrament and left defeated and how if he were her bishop he would make sure the sacrament made it out to the hall to her. 2 more years and a new, more reasonable Bishop went by and it never happened. New Bishop cited stake policy. One Sunday we had a crazy amount of visitors and the foyers were full of late comers. After the bread, Bishop asked for a show of hands of anyone who had not received the sacrament and someone came from the foyer and said they hadn't received it. Bishopric quickly counseled and my husband was helping with the sacrament and they told him 'just this once'. It's frustrating that this unwritten rule became law and that 'law' superceded member's needs. To reframe it bluntly, I was denied an ordinance for 6 months because I have a child with special needs. New ward and my son is phenomenal in sacrament now, so this particular issue isn't a hurdle anymore. The bigger issue of unwritten rules being treated like law probably still is, but there's no specific conflict I have with it right now. I am so sorry for this frustrating and so unnecessary stalemate. I know that we do not want to follow the consumer driven trend of other churches but it certainly seems like we go overboard in making our members make sacrifices big and small for their faith. The most frustrating sacrifices are the ones that do not seem to benefit anybody but are seen as good for us to help us learn to make sacrifices. This is what makes my heart cry. It is directly against worldwide church practice, and it is a stupid policy. Leadership roulette at its worst. Curt Sunshine wrote: This is what makes my heart cry. It is directly against worldwide church practice, and it is a stupid policy. Leadership roulette at its worst. These types of policies are driving people away from the gospel- people who want to stay but can't make it work. I've heard so many stories from good people in my previous stake who were driven away by similar archaic policies. It really is heartbreaking. squarepeg wrote: Glad you are here. This is a wonderful group of people. Thank you! It is a great collection of people here- exactly why I finally got brave enough to post. Thanks for the warm welcome, we seem to have a lot in common! Roy wrote: The most frustrating sacrifices are the ones that do not seem to benefit anybody but are seen as good for us to help us learn to make sacrifices. Yes! I hate the backwards justifications for these sacrifices, too. Did I learn from this negative experience? Yes, but me learning from it does not make it okay. I usually mentally play Devil's Advocate these days and wind up thinking, "Yes, I learned from this experience - but I am pretty sure the lesson I learned is not the intended lesson". AmyJ wrote: I usually mentally play Devil's Advocate these days and wind up thinking, "Yes, I learned from this experience - but I am pretty sure the lesson I learned is not the intended lesson". It took me a while to acknowledge any lesson learned instead of just being mad at the situation. Now I'm trying to focus on the positive without being blind to the negative so that there's room for change when there's an opportunity for it. You got it. 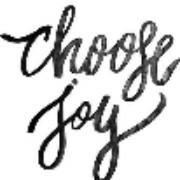 I got on the joy principle a couple years ago. I realized that happiness is the object of our existence. People are that they might have joy. So, all my interactions with the church tend to be aimed at keeping joy and happiness as the forefront. A lot of stuff the church wanted me to do for years was misery inducing. Callings were misery inducing. Moving was misery inducing. Driving across town to set up chairs was misery inducing. I do what makes me happy, and sometimes that involves serving other people in ways the church wants. There has to be overlap. I have a healthy distance from it now...keep up with the Joy litmus test when asked to do something at church....that way, so far, has brought me happiness.